Lady Bird is quite simply the quintessence of adolescence. Written by American actress, writer, and director Greta Gerwig, this screenplay tells the story of a tirelessly working family while exploring the often young and turbulent relationship between mother and daughter. Over the course of 2017 and 2018, it would go on to receive awards for its writing and filmmaking. Gerwig’s script meets, falls short of, and exceeds a number of expectations. Through conflict driven by pure heart and angst, Lady Bird takes us through the obstacles of growing up, only to find peace, identity, and perhaps a dose of wisdom on the other side. The story moves with purpose from the start. Right off the bat, Lady Bird provides us with a protagonist that we can root for. Over the course of the story, we see the main character as well as a number of others undergo struggle and growth against the various challenges of change. Each scene is injected with natural action and dialogue that expresses the tension within relationships and the stress upon individual characters, creating both external and internal conflict that we as the audience can enthusiastically agree to be a part of. However, the story of Lady Bird fundamentally lacks an original and exciting concept as well as an unanticipated twist. This can be potentially problematic in the sense that the audience could very easily decide to simply not care about any of it at all: the characters, their stories individually, and their story collectively. Furthermore, despite having relatively minor roles, some characters lack development. Almost all of the characters have a strong and influential introduction. But not all of them have a full character arc, which ultimately dilutes the impact of the entire story. Meanwhile, certain aspects of the plot itself lack purpose and fulfillment. In addition, the screenplay lacks a basic technical sense of structure. Simply more time would’ve made the difference. In Gerwig’s defense, she didn’t necessarily have any more time to play with. 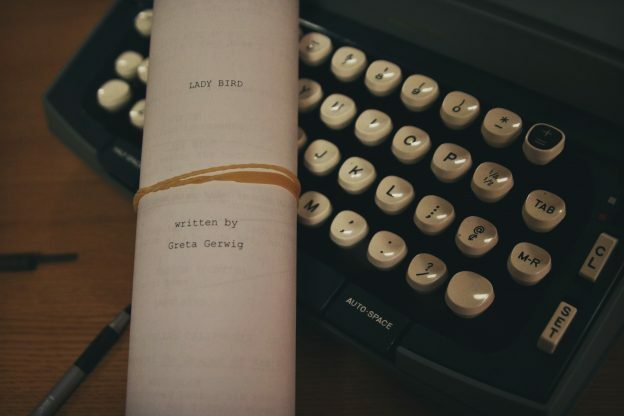 The general rule of thumb is a screenplay should be between 110 and 120 pages so its film can perform successfully between 110 and 120 minutes on screen. As a result, already nearly at 110 pages, fine-tuning this story any further would probably lead to a physically longer story, which is why one could argue that Lady Bird is a better film than a screenplay on its own. But it would be a better novel than a film or script. As a book, Gerwig would have the freedom to write as many pages as she desires, to tell the story as long as she wants. If Lady Bird were a novel, it wouldn’t have to operate under any of the industry parameters that exist for screenplays and films. Gerwig would be totally free to explore the unexplored, develop the underdeveloped, and essentially flesh out and maximize the potential of the story of Lady Bird. On the other hand, Lady Bird’s unique strengths correctly compensate for its particular weaknesses. Though some of the characters and story devices carry the burden of developmental flaws, Gerwig makes up for them by pumping each scene with intentional and intriguing pacing, movement, and conflict. Starting on Page 1, Gerwig writes with an admiring sense of urgency, which bleeds into her work. This urgency is precisely what makes us care about the characters and their story in the first place—and perhaps care a little more about “teenage drama” than we otherwise should and would, ultimately enticing us to continue following Gerwig through her story. Though some of her writing is flimsy and unorganized at times, she makes up for this by directing Lady Bird’s film as well. By possessing virtually complete creative control, she is able to wisely cover up the flaws that can be seen on paper but not necessarily on screen, allowing Gerwig to successfully pull us in mentally and emotionally and provide us with a return on investment with a clever and bitter-sweet ending. The film version of Lady Bird went on to receive numerous awards, including multiple Golden Globes and Academy Award nominations for Best Picture, Best Actress, Best Supporting Actress, Best Director, and Best Original Screenplay. Though it’s not a perfect read or watch, Lady Bird is an 8/10 in my opinion, and a recommended literature and/or film experience for providing a compelling and moving story from start to finish. Lady Bird certainly has the strong potential to touch audience members across all demographics in multiple ways. Chandler Williams is a sophomore from Cincinnati, OH. He is an English/Creative Writing and Media & Culture double-major with a co-major in Film Studies. His interests lie in screenwriting, filmmaking, and poetry.